For almost a century, hundreds of professional publications have demonstrated the need for early orthodontic diagnosis and treatment beginning at ages 3 to 8. Even so, the average age to start orthodontics in the U.S. is still a late 11-12 years old. Early orthodontics between ages 3 to 8 uses a special window-of-time-opportunity to make space for adult teeth. Making space early may reduce or eliminate the need for further orthodontic treatment, tooth extraction surgery, and even jaw surgery, at a later age. Early treatment can save time, save money, be simpler, and also be more stable. Dental professionals that oppose early treatment at ages 3-8 often have little or no experience providing it. They also ignore research that supports it. 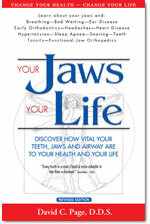 The upper and lower jaws are about 80% grown at age 6 and 90% grown by age 8, so treatment after age 8 can be too late. It is important for parents to know that designing a beautiful broad smile can be better when done early, than if done too late. Learn more about What early orthodontic treatment is all about.